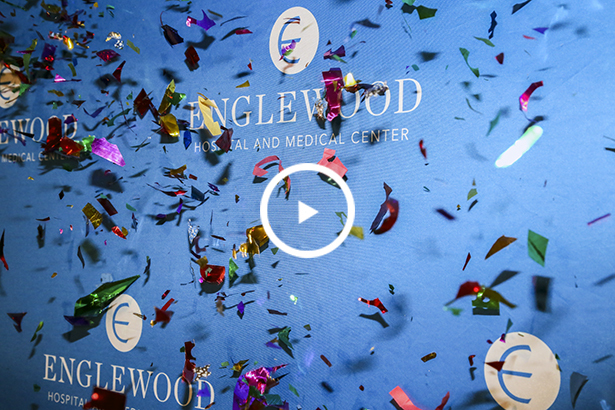 On May 18, 2016, Englewood Hospital and Medical Center leaders gathered for a live announcement of our fourth consecutive time receiving Magnet recognition for nursing excellence. Englewood Hospital and Medical Center received Magnet recognition once again in May 2016, proof of continued nursing excellence. The American Nurses Credentialing Center’s Magnet Recognition Program® identifies superior quality in nursing care by evaluating performance outcomes. Magnet recognition is the highest national honor for nursing practice. Currently, only 7 percent of U.S. health care organizations have achieved Magnet recognition. An organization that reapplies for Magnet recognition must provide documented evidence of how staff members sustained and improved Magnet concepts, performance, and quality over the four-year period since the organization received its most recent recognition. ANCC evaluates organizations seeking both initial Magnet recognition and recertification, judging how well organizations perform in the five foundations of the Magnet Model, which correlate to global issues in nursing and health care. ANCC looks at the degree to which leaders transform the organization to meet changing needs, empower staff members and prepare them to face all challenges, promote exemplary professional practice, foster innovation within staff knowledge, clinical practice, and systemic improvements, and measure and evaluate outcomes throughout the entire organization. This is the fourth consecutive time that Englewood Hospital and Medical Center has achieved Magnet designation. Learn more at the ANCC website.